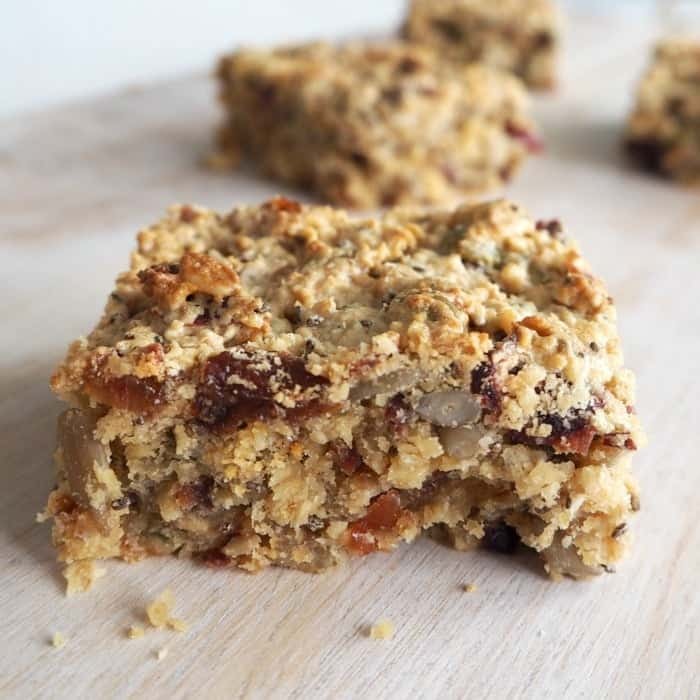 Our Thermomix Nut Free Muesli Slice is perfect for the kids lunchbox – and yours too! 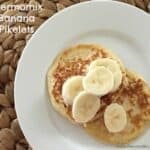 I’ve been making this Thermomix Nut Free Muesli Slice for YEARS now, it’s based on my Mum’s super versatile Muesli Slice recipe, which is a long standing favourite in our house. 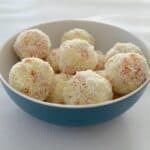 What I love about this recipe is that it’s really easy to modify it to suit your tastes, you can easily substitute or omit dried fruits or seeds to include what you prefer. 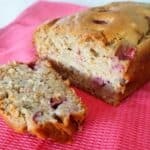 While we love the combination of sultanas and cranberries in this slice, it’s also really yummy when made with chopped dried apricots instead. 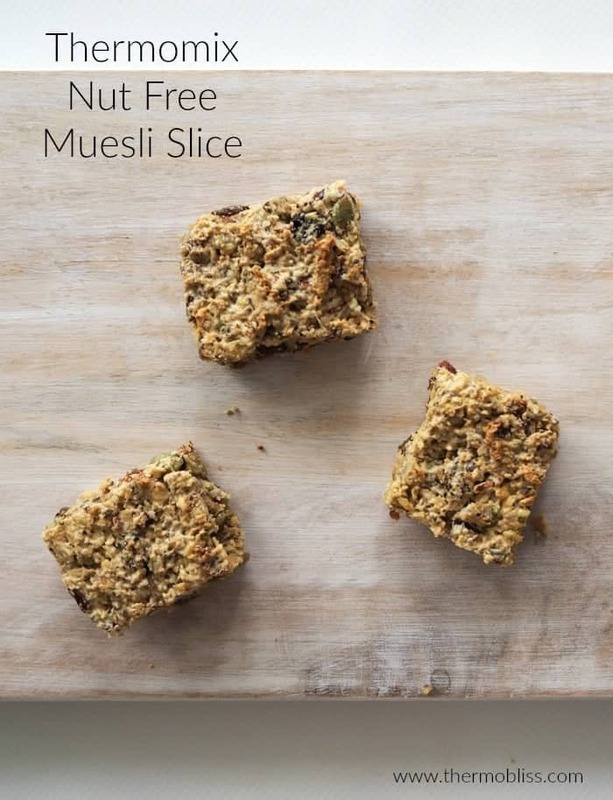 When making this Thermomix Nut Free Muesli Slice, it’s important to let it cool completely in the tin before cutting into pieces, as this will make it much easier to cut and the slice will keep it shape better – although please be aware that it is still a ‘crumbly’ slice. Our Thermomix Nut Free Muesli Slice is a great snack for the whole family - and it's perfect for lunch boxes too! 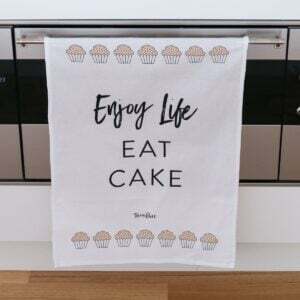 Pre-heat your oven to 190 degrees and line a 28 x 18cm slice tin with baking paper, making sure you leave paper hanging over the edges to help you remove the slice once cooked. Place the butter and golden syrup into your Thermomix bowl and cook for 3 minutes, 60 degrees, speed 2 to melt. Add the remaining ingredients to your Thermomix bowl and mix for 10 seconds, speed 5. Scrape down the sides of the bowl and mix for a further 10 seconds, speed 4 REVERSE to ensure the mixture is completely combined. Transfer the mixture to your prepared slice tin and press down on the surface with the back of a spoon to flatten. Cook for 25 minutes or until the slice begins to turn golden on top. Carefully remove the slice from the oven and allow it to completely cool in the tin before cutting into pieces and storing in an airtight container. 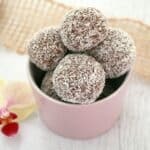 You can substitute different seeds/dried fruit in this recipe to suit your taste. You can also use rice malt syrup instead of golden syrup if you prefer. 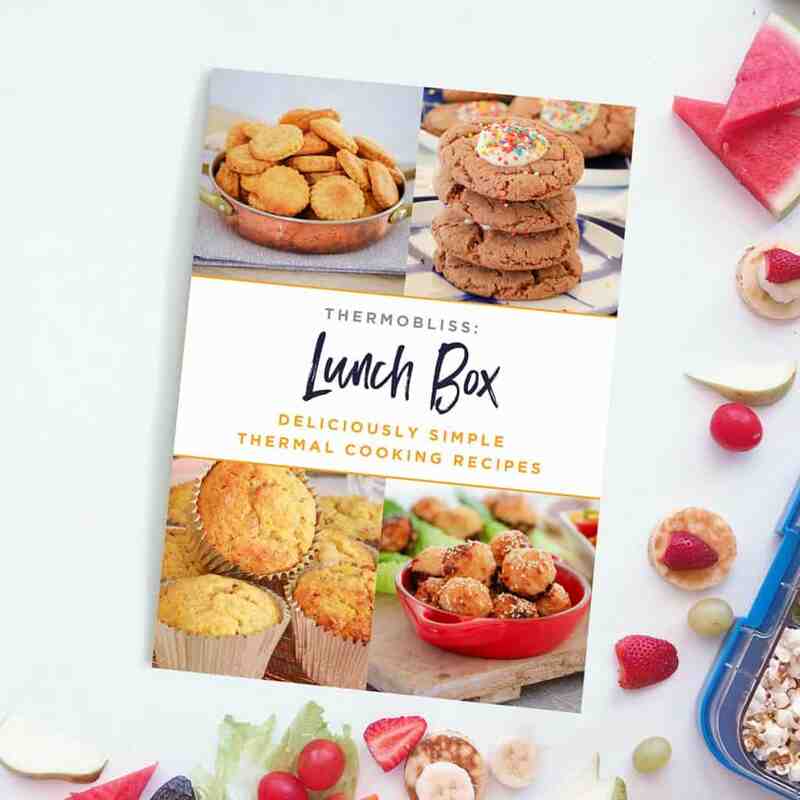 For more great snack recipe ideas, make sure you grab your copy of our Thermomix Lunchbox Snacks print book or our Thermomix Toddler and Kids eBook. 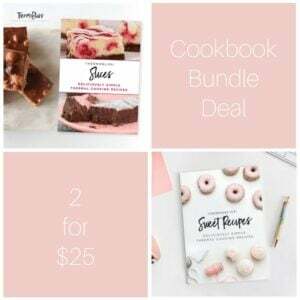 You can shop the full range of print and eBooks here.